The holiday season is a time of giving thanks, spending time with family and friends, and helping out those in need. 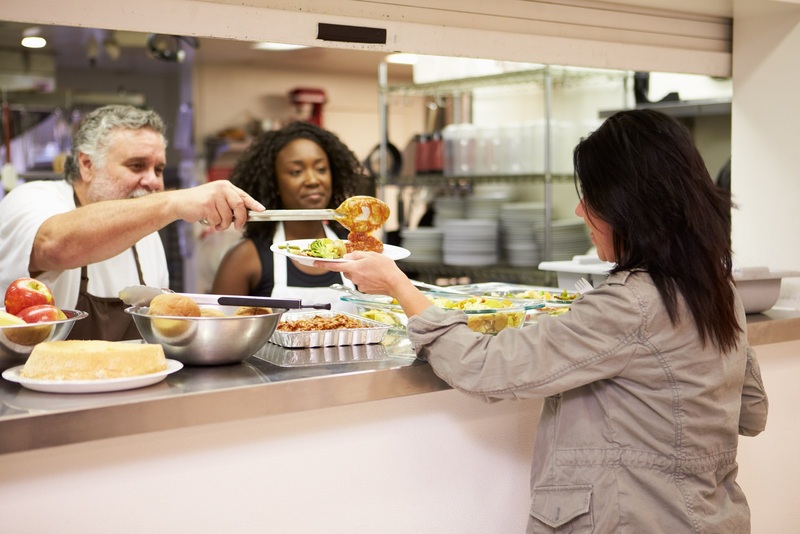 There are many ways to help out charitable organizations in the Atlanta area from volunteering time at food banks, helping at community meals, or making donations. These charitable organizations are important to the Atlanta area throughout the year, but even more so during the winter months. Storage World is very proud to be located in an area where helping the members of the community is very important. We are happy to partner with Samaritan’s Purse for many local and international charitable causes. There are many organizations, food pantries and church groups in the Atlanta area that offer assistance to low-income or homeless families for the holidays. The Atlanta area has larger events including community Thanksgiving meals and holiday food basket distribution. Below are listed just a few of the charitable community organizations that help out those in need in the Atlanta area, including Thanksgiving meals. All of the organizations welcome volunteers to help with their giving events. 1 in 7.5 residents in metro Atlanta and north Georgia faces food insecurity. The mission of the Atlanta Community Food Bank is to fight hunger by engaging, educating and empowering our community. The Atlanta Community Food Bank source, acquires and distributes food to families and individuals in 29 metro Atlanta and north Georgia counties. Since 1979, the Atlanta Community Food Bank has distributed more than 60 million pounds of food and groceries each year and distributes it to more than 600 nonprofit partner agencies including food pantries, childcare centers, senior shelters and soup kitchens. Over 1, 700 volunteers a month help a staff of 150 with food sorting and distribution. There are many ways to help the Atlanta Community Food Bank from making personal food and monetary donations, volunteering or by attending special events. Lift Up Atlanta will be delivering Thanksgiving Food Baskets for the 500 needy families in the Atlanta area. They also will be having a Christmas Toy Drive for 500 needy families. Lift Up Atlanta provides homeless women and children in the metro Atlanta area with safe housing, food, clothing and other services designed to help them meet their basic needs, support education and empower them to reach self-sufficiency. Join Lift Up Atlanta for their Annual Christmas Extravaganza on December 5th at the Gwinnett County Fairgrounds Exhibit Hall Building. There will be live entertainment, vendor shopping, a youth talent competition, games and activities and more. The Children’s Restoration Network has been holding a food drive this fall to provide for roast turkey dinners with all to trimmings that will be distributed to over 3,000 children at 134 Atlanta area homeless shelters. The donation sorting dates will be November 20th to 22nd with the food being delivered on Thanksgiving. Donations can be dropped off at the Roswell headquarters. They also will continue with their “12 Days of Caring” toy, clothing and gift card collection for children from infants to 18 years old. This program helps over 1,800 homeless children have a bit of hope for the holidays. The community of Brookhaven in DeKalb County will be having a Thanksgiving Day Community Meal at the Lynwood Park Community Center on Thanksgiving Day. The meals will be served from 11:30am to 2:30pm. Hosea Feed the Hungry produces four signature holiday events every year: Thanksgiving Day, Christmas Day, Martin L. King Jr.’s Birthday and Easter Day. These services combined serve over 20,000 people. Guests receive cooked meals, barbers and hair stylists, medical screenings, clothing, legal counsel and much more. The meal will be served at the Georgia World Congress Center, Building on Thursday, November 26th. Thanksgiving Day dinner can serve up to 8,000 people with the help of 900 volunteers. Hosea offers free services to over 50,000 families in the Atlanta area with the help of over 40 nonprofit and faith-based organizations. Hosea Feed the Hungry was founded in 1971 by civil rights icons Reverend Hosea and Juanita T. Williams. The organization helps recipients learn how to break the cycle of poverty with classes, financial tips and assistance and much more. The Salvation Army of Atlanta will be offering a variety of holiday assistance programs for families in need this holiday season. There will be a traditional Thanksgiving dinner served. The traditional red kettle will be set up at locations across the Atlanta area to help assist over 34 Americans recovering from personal disasters nationwide. The Angel Tree program is another way to help others in the community during the holidays. Pick a name (or names) on the tree and provide gifts for them for the holidays.